Fiat will unveil an electric version of its famous 500 model at the Los Angeles auto show next week. This should be great news, but it may not be because of that future model very limited availability. It should not offered anywhere in Europe, and even in America, it may only be available in California. 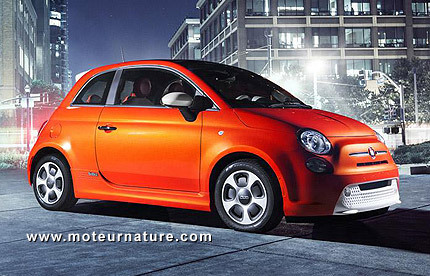 The bulk of Fiat 500 will remain gasoline and diesel, and it’s quite likely few people would complain. More than one million Fiat 500 have been sold with ICEs, most notably the 1.2-liter diesel or the TwinAir two-cylinder. Both get excellent fuel mileage while keeping the little car affordable, and there’s doubt many people would accept to pay big money for an electric drivetrain. So nobody knows the fate of the upcoming electric 500 yet, but the model is a big success with conventional drivetrains, this is what everybody shall remember.